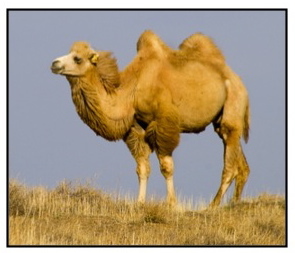 Camels and copper are having a very difficult time trying to coexist in the Gobi Desert. At first, this might seem very strange. After all, the copper in question lies deep below the ground while the camels spend there days surviving the harsh conditions of this remote region of the Chinese Desert. Here is what’s at stake. The copper extraction process guzzles too much water and puts the local communities at risk of aquifer depletion and groundwater contamination. And, in spite of this guarantee: “The Environment Ministry has clarified that the first priority is for drinking water supply for locals, herders and mining workers” locals remain skeptical. I should add that we see all too often that local government officials (choose your country or state or local community around the world) are quick to make similar statements about the priorities and concerns they have when reviewing the justifications for major mineral explorations within their jurisdictions. We need only to look at the Marcellus Shale Formation in the eastern part of the United States to see how contested the debate can be when items like increased tax revenue and employment opportunities are used in the justification battle. In this case, ground zero may be some remote corner of Mongolia but you can bet that the techniques used by mining advocates are from 21st Century Best Practices. You can judge for yourself by reading this Inter Press Service article: Mining Saps a Thirsty Desert. This entry was posted in Climate, Water and tagged aquifers, Asia, groundwater, sustainability. Bookmark the permalink.